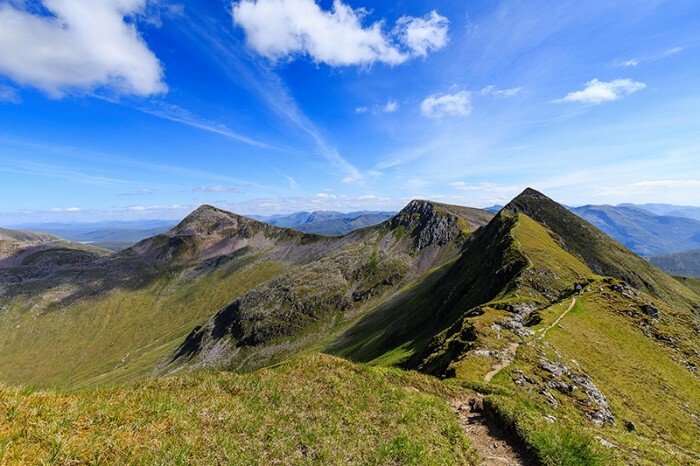 Whether you plan to roam the hills or explore the city, any trip to Inverness should begin with a hearty breakfast at The Royal Highland Hotel. 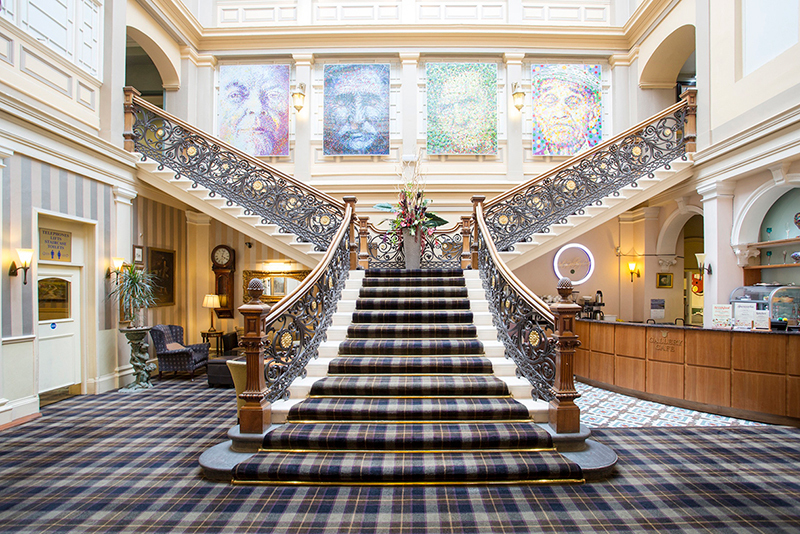 This former station hotel, with a stairwell that inspired the interior of the Titanic, opens daily for non-guests too. Opt for the “Full Scottish” to sample Tattie scones and haggis with your egg and bacon. The open-air Highland Folk Museum gives a glimpse of Highland life dating back to the 18th century and the Jacobite Rebellions. A working farm and a reconstruction of a township settlement can be explored, while regular workshops, re-enactment weekends and Cèilidh trails add atmosphere to a visit. With a working log fire crackling away at its heart, Leakey’s Bookshop has made the former Gaelic church a cosy destination. This is Scotland’s second largest secondhand bookstore and owner Charles Leakey has piled it high with choice novels and non-fiction. Pull up an armchair in the upstairs hardback section to browse before you buy. Inverness Museum and Art Gallery mixes local art, archaeology and social history with a collection stretching back to 1881 and including Jane Nasmyth’s bucolic local landscape Loch Ness. The gallery’s café, Cobbs, is a popular spot for afternoon tea. Genealogy fans can explore their Scottish ancestry at the Highland Archive Centre with access to records dating back to the 14th century. With your roots revealed, head to the Hall of Names on Bridge Street to buy a family crest and the Highland House of Fraser on Huntly Street to find your clan tartan. 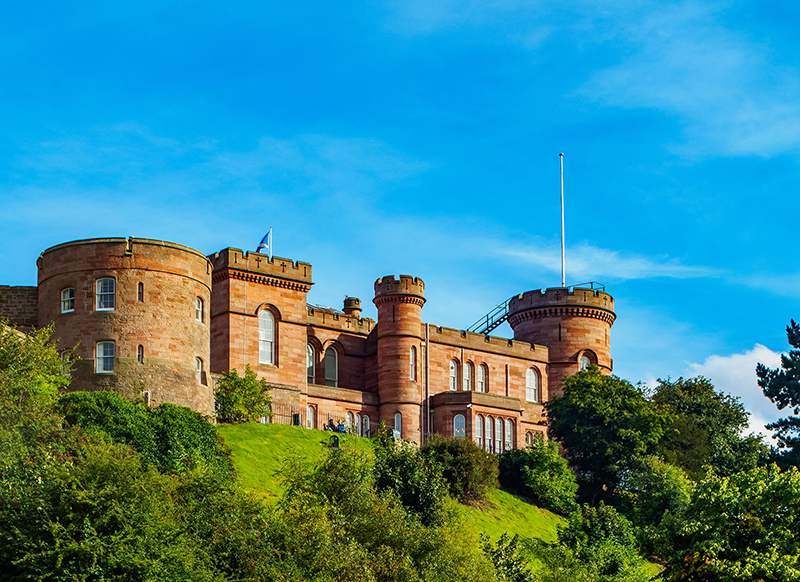 The current, sandstone Inverness Castle was built in 1836 but there have been fortifications on this site for almost 1,000 years. The north tower was recently converted into the Castle Viewpoint attraction, complete with drone footage guides, panels on local myths, and a 360-degree viewing platform at the top. 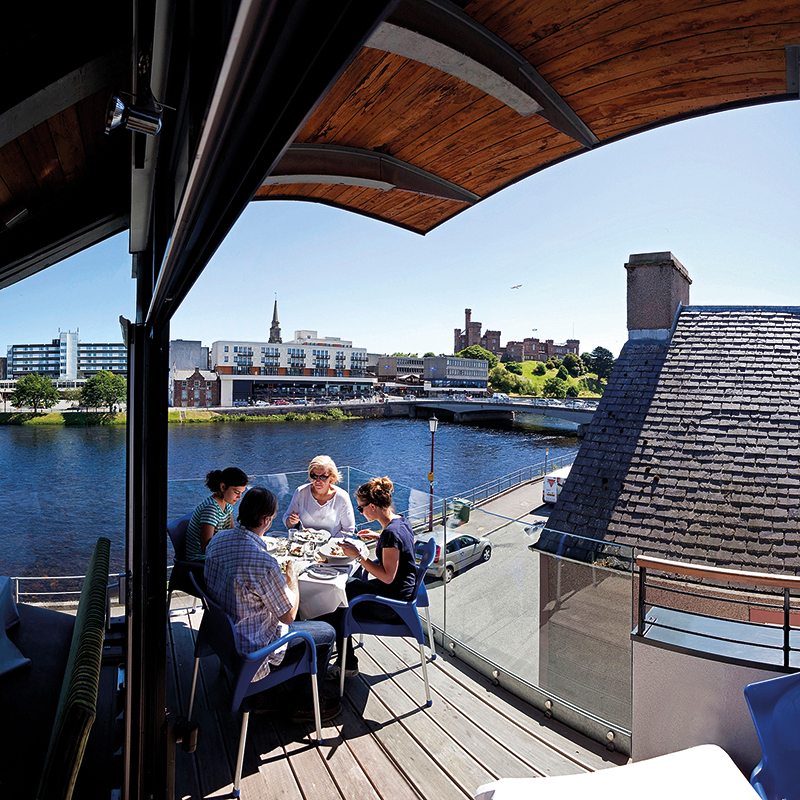 The motto of River House’s chef-proprietor Allan Little is “keep it simple and let the ingredients do the talking”. His eaterie opposite the Greig Street Bridge does just that, specialising in prime Scottish beef and fresh local seafood chalked up on the special’s board each night. The Eden Court Theatre originally opened in 1976 in the grounds of what is now the Bishop’s Palace. While the old Victorian palace and the original listed theatre remain, a new contemporary arts centre was built a decade ago. November sees visits from the Scottish Ballet and Opera. The building that houses The Mustard Seed restaurant on Fraser Street was originally built as an independent chapel back in 1826, later serving as both a Congregational and a Free Presbyterian church. Today the classily converted interior is the perfect setting for sampling a menu big on Scottish produce. Look out for its equally excellent sister restaurant, The Kitchen Brasserie, too. Early 20th-century Scottish author Neil M Gunn penned more than 20 celebrated, mostly Highlands-set novels and his former residence at Moyness House is now a homely B&B. Hens are kept in the extensive grounds, ensuring fresh eggs on the menu. For the ultimate in overnight luxury, the boutique Rocpool is the city’s only five-star hotel and comes complete with a cocktail bar, hot tubs and emperor-size beds. The Loch Ness Country House Hotel is an imposing Georgian building on its own six-acre Highlands estate. Just two miles southwest of Inverness city centre, it’s the perfect stopover on the way to the monstrous Loch and beyond.